Model: gx8 POWER SWEEPER 40"
BCS gx8 power unit with 40" sweeper attachment. Heavy duty nylon bristles are easily adjusted by 2 swivel casters and the side to side angle. Works well on parking lots, side walks, paths and lawns for sand,soil,gravel, snow, leavers or other debris. 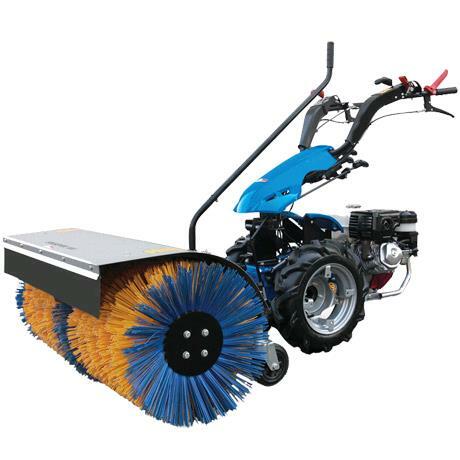 * Please call us for any questions on our sweeper 40 inch bcs 8hp rentals in Portland OR, Gresham OR, Milwaukee OR, and surrounding metro area.